Once was that Winter called for genuine perseverance and endurance, the stuff that made us (Wisconsinites) tough. When January rolled into February it was typically time to pull up the long-johns, grab the jumper cables, and remind yourself that March might be a little warmer and April was only two months away. Well, January is still with us and we’re expecting a week of above-freezing temperatures. It just ain’t right. News of the Zika virus should give pause to any idiot who welcomes the warming trend we humans have initiated on our planet. Winter may seem harsh to some, but it’s very useful when it comes to keeping insect populations in check. The World needs a lot of work, and none more important than fixing the mess we’ve made of our climate. Let’s stop whining and get to it. Eh? And, as with any work, eventually you need to take a break. Time out for beer and music is truly the Wisconsin Way. Do it! 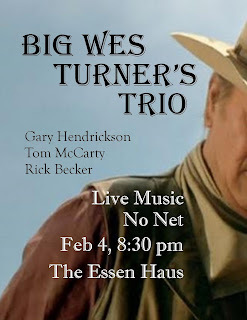 Do it with Big Wes Turner’s Trio. 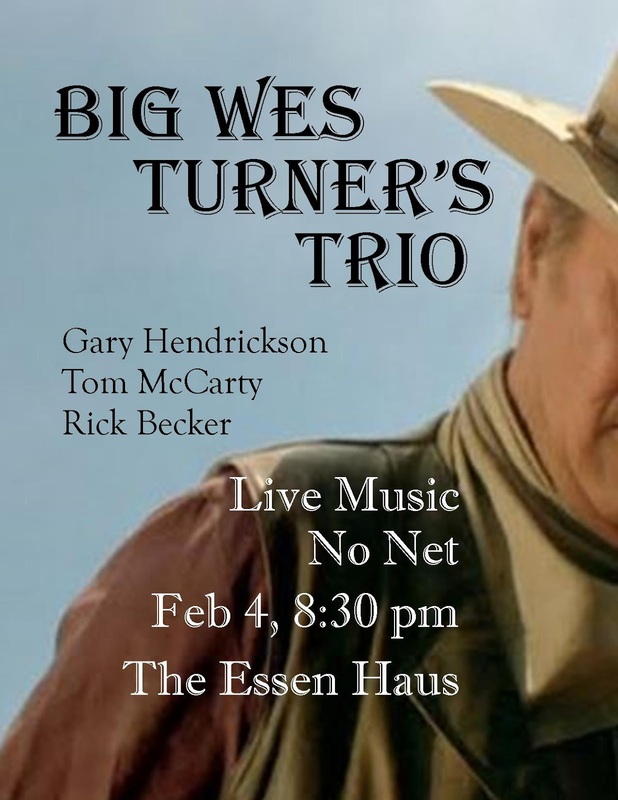 On Thursday, February 4, they’re back at their regular haunt (TheEssen Haus).